Super Terrazzo Black Need Help? 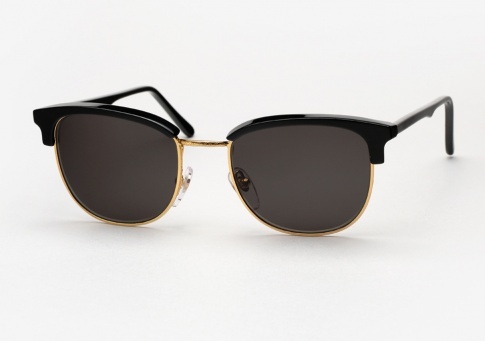 The Terrazzo is Super’s take on the classic Clubmaster style. A timeless design that combines shiny black acetate with gold metal with beautifully etched filigree detailing throughout. Additionally the Terrazzo features silicone nose pads for comfort and a finely tailored fit, and is finished in black lenses by Zeiss.